Athletics and exercise are an integral component of our daily lives. Whether we are bettering ourselves personally at our local health club, training for a specific event, performing at the student athlete level or visiting our alma mater for a homecoming event, sports and fitness are at the heart of the experience. S3 Design understands that the design profoundly impacts the relationship between the people and the facilities where they exercise, train, perform and compete. 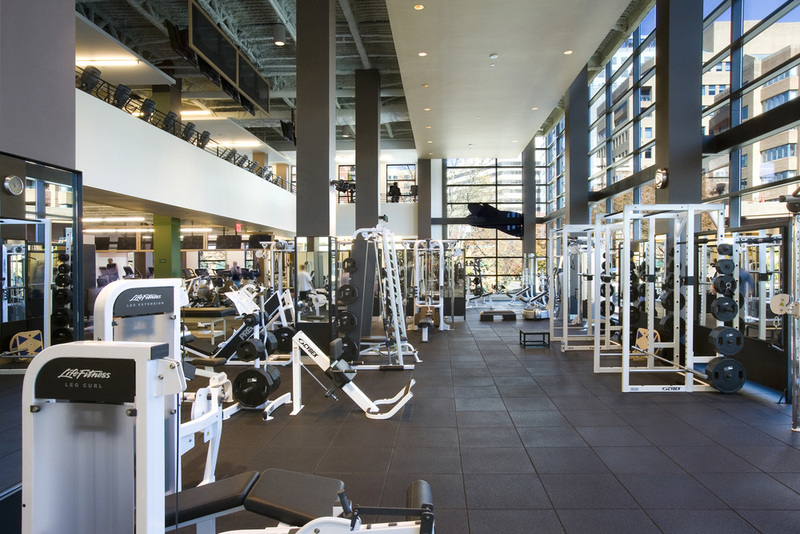 S3 Design’s practice is dedicated to planning, architecture and interior design for sports & recreation facilities, health & fitness clubs, and spas & wellness facilities. These facilities present an opportunity to foster the spirit and identity of a campus, a private health club brand, or a wellness center. We understand that design can create an environment that promotes athletics, fitness and wellness to encourage an active, healthy lifestyle for all. S3 Design brings the technical knowledge of specific issues related to the design of these types of projects. While it is essential to execute the technical aspects of sports design, our true passion is rooted in the creation of the user experience. We firmly believe that successful projects harness the spirit of the place or brand. Our design process develops unique solutions to each of our clients’ needs. There is no universal solution. Taking a project beyond expectations depends on a keen understanding of our clients’ goals and aspirations. In the end, it is the interaction between participants and the facility that determines its success.